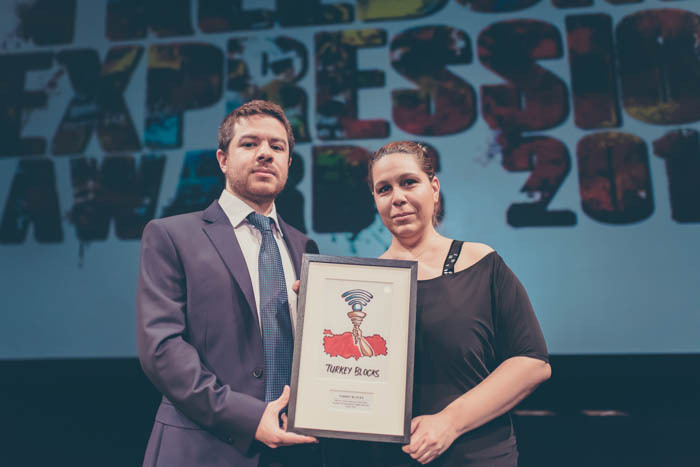 LONDON – Turkey Blocks has received the Index on Censorship Freedom of Expression Award 2017 in recognition of its contribution to the field of online censorship monitoring and digital transparency. 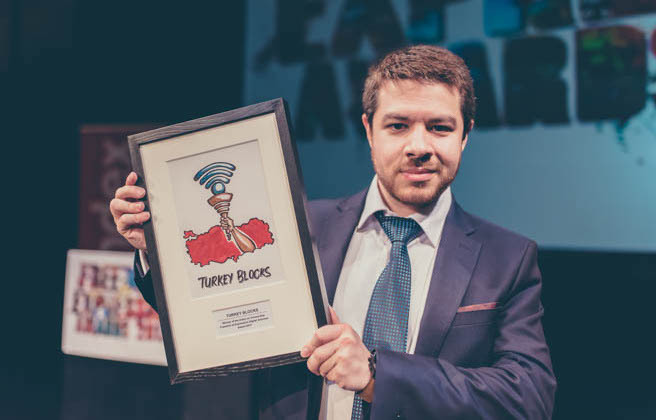 Turkey Blocks founder Alp Toker represents the second organisation from Turkey to receive the prestigious award through its 17-year history. They follow in the footsteps of Turkish-Armenian newspaper Agos and director Arat Dink who prevailed in the journalism category in 2008, and outspoken composer Şanar Yurdatapan in 2002. Awardees in the three other categories were the Maldives Independent news team, Russian activist Ildar Dadin and China cartoonist Rebel Pepper out of sixteen finalists shortlisted from hundreds of entries worldwide. 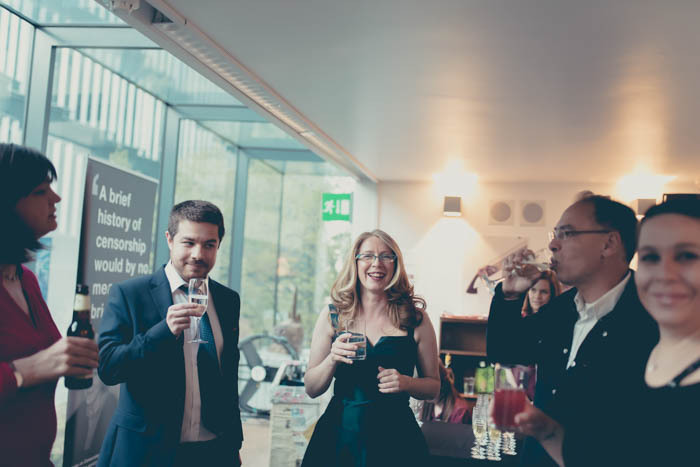 Recipients of the award are to participate in a year-long fellowship run by Index On Censorship which will help them grow their network, share skills and improve their workflow to better defend freedom of expression against new challenges. 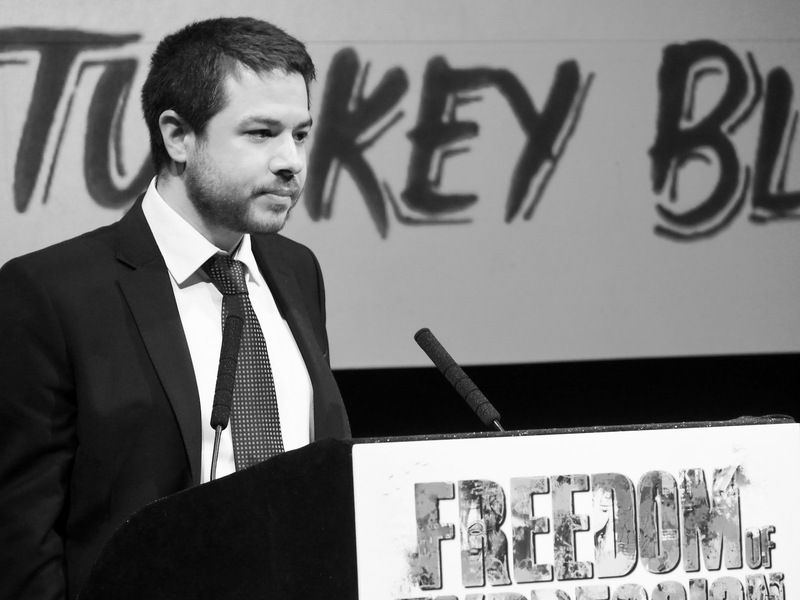 Turkey Blocks is an independent, non-partisan digital transparency and technology research organisation that seeks to identify and validate reports of internet mass-censorship in Turkey. Turkey Blocks is a member of the global KeepItOn coalition which works to push back against internet restrictions. Index on Censorship is a London-based publishing organisation for freedom of expression founded in 1972, which produces a quarterly magazine and runs the international Mapping Media Freedom programme.